Spread salad on dish by layers. 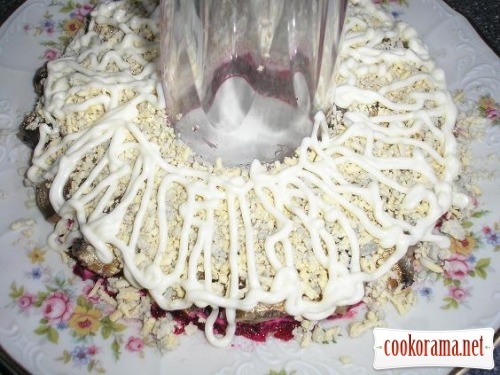 Put glass in the middle of dish and «surround» it with ingredients. 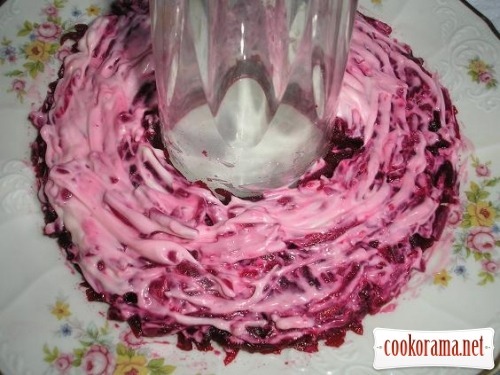 The first layer is grated beetroot. Smear it with mayonnaise. Drain the oil from the sprats, you can put on a paper towel, to remove more fat. 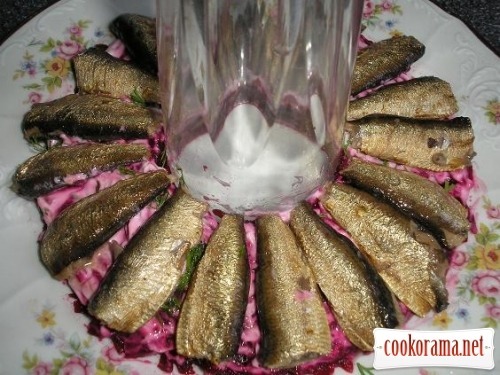 Spread sprats on beetroot. 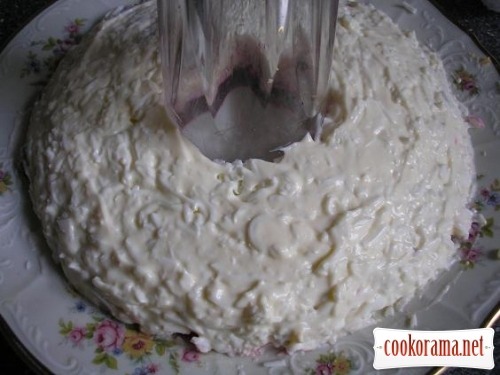 Do not smear this layer with mayonnaise. Divide eggs in yolks and whites. Grate them separately. 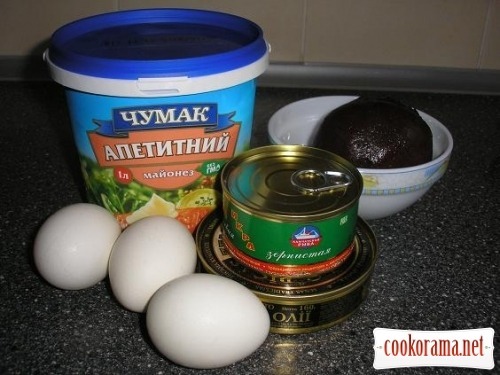 Spread yolks in sprats and smear them with mayonnaise. Next layer will be whites. This is the last one, so cover it with mayonnaise eand spread well. Remove glas from the middle. 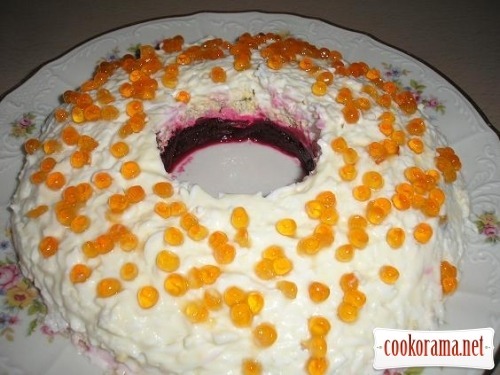 Decorate salad with red caviar and put in the fridge for an hour. Serve it cooled. 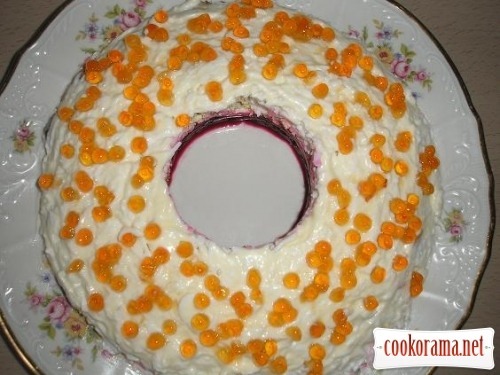 Top of recipe "Coral bracelet"
так він і без ікри смачний вийде.